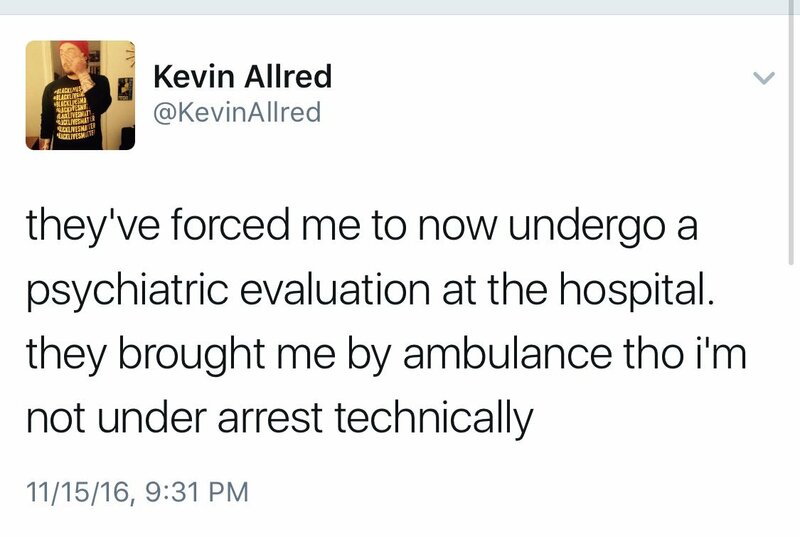 Gender studies professor Kevin Allred was carted off to the psych ward this week after posting several violent anti-Trump treats. Allred took a trip to the psych ward. …And he’s indoctrinating kids with his far left racist filth. quick note to all you fancy folks thinking you're gonna get me fired: i'm an adjunct lecturer – NOT a tenured professor like you think. I'M SAVED THANK YOU JESUS I'M SAVED.